Each year one of the locals organises the DBA Open over a couple of weekends. Now after a very busy few months I was really looking forward to a competition which I wasn’t organising. As part of my strategy of doing “something different” I opted for an army that was a little out of my regular selection. In particular I opted to use my Numidians. A couple of test games before the “Open” of course went terribly wrong so it was with a degree of trepidation that I headed to the local club on Sunday. 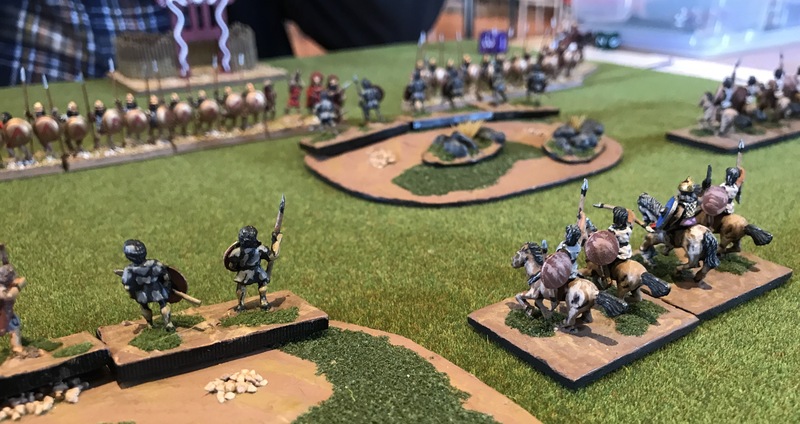 If you are interested in reading of their stumbling performance I’ve posted a short summary of the Numidians at the DBA Open on my Ancients blog. Another Natcon has been and gone and for 2015 it was of course in Auckland. Despite there being some organisational issues, including a change of venue in the week before the competition, it seemed to go reasonably well. Well it did from my perspective. I’m always impressed how much time a few organisers and a small number of volunteers put into such events. I find it enough just organising a few competitors for a competition. But this year I had a break from this as well! In recent years I have played in or organised DBR events, but with a range of local amendments being used I decided to look elsewhere. As a result I decided early to participate in the 15mm DBA competition which ran for two days. However, being in the main historical area of the venue it gave me a reasonable view of the other historical games. I believe there was a fantasy area but I didn’t go looking so I’m not sure of the details. 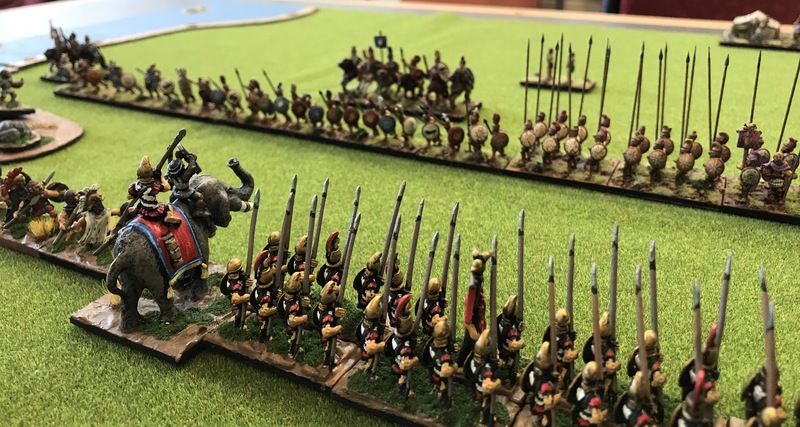 The historical game systems in use were DBA, FOG Ancients, FOG Napoleonics, Renaissance using DBR and Flames of War, all in 15mm. I was a little surprised by what I thought was a small number of Flames of War games. 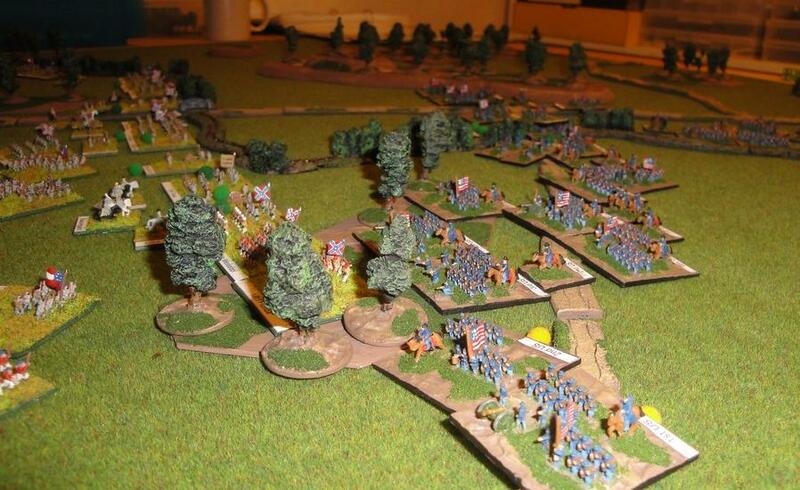 The only 25mm games were Ancients using DBMM, but there was a good turn out for this. I forgot my camera, so the limited photos of the day were of the DBA games. Above Sinhalese engage Norse Vikings on the second day. The thought of the Sinhalese massed archers fighting solid Viking foot was one game I was dreading! On another table Aztecs are engaged by Spanish, and a full European Spanish army at that. To my amazement the Aztecs overcame the Spanish, certainly a change from the history books! A few additional photos of the DBA Competition can be found here. Unfortunately, there were no demonstration games nor any retailers. Perhaps these were casualties of a limited space at the original venue or the late venue change? Interestingly there were still a number of visitors and certainly the DBA area had a number of people who were looking to pull armies out of storage and buy copies of the rules. Overall a great venue, and for us a positive change as it greatly reduced our travel time. I have no idea who will host Natcon 2016, but I’m sure details will come out soon. First were several Renaissance games. Some of these games were for players sought some experience prior to Natcon Renaissance Competition, which in itself while considerable work, was certainly very enjoyable. In other cases games were against plyers who wanted to try some DBR games, and blow the cobwebs off their figures. Such a difference from a few years ago when I had trouble actually getting people to play a game with DBR. 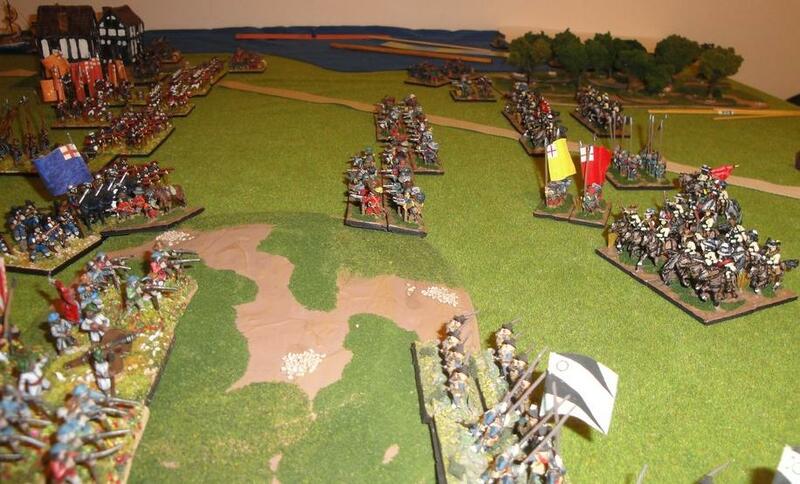 In additiona to games against a single opponent there have also been a couple of multi-player English Civil War games, including this one between Brian, Roger, Robin and myself. 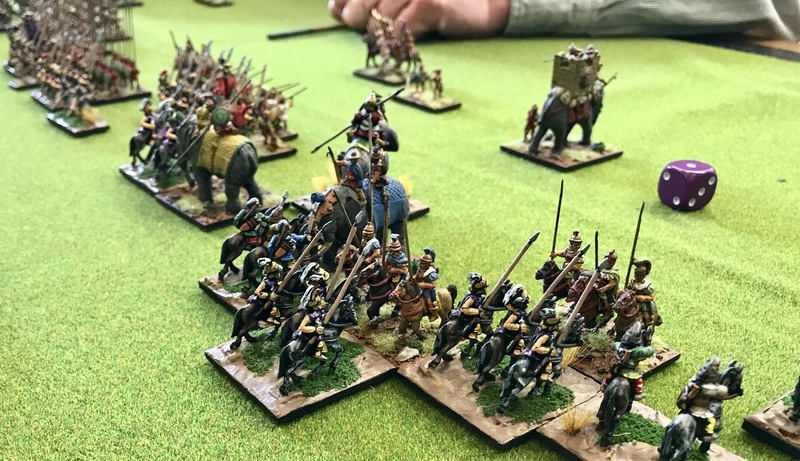 I have also managed a short report of the other multi-player English Civil War game, entitled “A Solemn League and Covenant” which can be found on my Renaissance pages for those interested. Like the game illustrated above it included Allied Roundheads and Scots against the King in 1644. Of course I have also managed several Volley & Bayonet games. These tend to be played at my regular Friday evening gaming slot. Volley & Bayonet games in recent weeks have featured either American Civil War or Napoleonics encounters. Below, Union forces advance on the Rebel lines in one of these games. Most recently we managed an 1806 game which just cried out to be recorded. An open battlefield and two aggressive players resulted in a game that really went down to the wire. Indeed, for some time I expected, as the French player, to have my army destroyed by the Prussians who kept the pressure on. The French, outnumbered, tried to regain the initiative repeatedly. As it transpired the French counter-attacks finally gained some traction and the Prussian commander was forced to break-off his attack and retire, an outstanding game. If you are interested have a look at the report on the fictional battle of “Langenheim – 1806” on The Volley & Bayonet Page. It has however been a while since I had a World War II Spearhead game. The game, set in late 1944, between Jim’s Americans and my own Germans provided great entertainment on a Sunday afternoon. I placed a brief report on this game, entitled “The Lucky Seventh” on my WWII Spearhead site. If you haven’t had a look, you can find a brief report and a few photos here.